Dr. Shaker Dakhil has been recognized as an author in the first trial of patients with newly diagnosed multiple myeloma in the Journal of Clinical Oncology, one of the most respected publications in the field (the article is available in its entirety below). The Cancer Center of Kansas is so proud to be one of only 46 cancer research programs in the nation currently funded by the National Cancer Institute Community Oncology Research Program (NCORP). 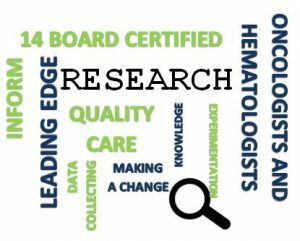 NCORP is a national network of cancer care investigators, providers, academia, and other organizations that care for diverse populations in health systems and conduct high quality trials that are aimed to better understand oncology through studies that work to prevent and/ or care for cancer.